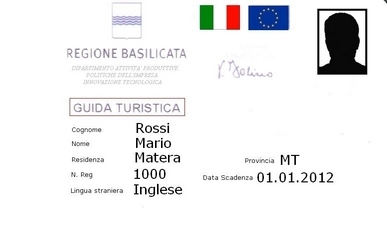 When you choose a tourist guide (in Matera or wherever), please check that he or she is a licensed guide. How can you check that? 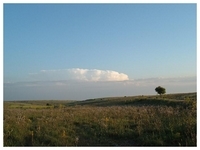 Any badge different from the one showed in this picture is not valid in the Basilicata region and so the holder is not a licensed guide. Please do not trust anyone who stops you in the street to sell a guided tour or any kind of ticket *: they are scammers so, if they try to fool you, please call the local police dialing the number (+39)08352671 (I cannot guarantee the policeman answering the phone call will be able to speak English, but you can give it a try). To hire a licensed guide, we suggest to contact Guide Matera or to find a specialized travel agency, but please avoid street-scammers. 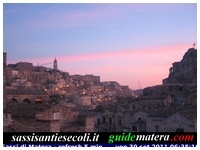 *Please note that if you do not want to visit the “Sassi di Matera” with a licensed guide, you can visit it by yourself and there is no ticket to pay for the entrance: if you like, you can go to the cave-dwelling or the stone-cut churches situated in the Sassi and buy the ticket at the entrance (there's a box office) but no one can ask you to pay a ticket to visit the Sassi.